Bus: The Roong Reuang Coach Company has 6 bus departures a day from Pattaya Bus Terminal to Bangkok. The service is very cheap and takes 3 hours to get to reach Bangkok. Minivan: Pannipa Pattaya Tour has 6 departures a day from the Central Pattaya Road to Bangkok’s Northern Bus Terminal. The service also takes 3 hours. The journey time is a fairly standard 3 hours whether you travel by bus or by minivan. Be aware that some of the buses on this service go to Morchit Bus Station and others go to Ekkamai Bus Station. Ekkamai bus station is more convenient if you are staying near the Sukhumvit Road or near the Silom Road. Use the Search Box below to book your tickets from Pattaya to Bangkok. These services arrive at Morchit Bus Station is located in the North of Bangkok city centre by Chatuchak Park. For onwards travel its a 10 minute taxi ride to either Chatuchak MRT (metro) station or Mo Chit BTS (Skytrain) station. Departure Times from Pattaya: 09.30, 13.30, 17.30. These services arrive at Ekkamai Bus Station which is located on the upper end of the Sukhumvit Road in Bangkok. The most convenient of Bangkok’s bus stations as it is the only one within easy walking distance of a BTS (skytrain) station – Ekkamai BTS station. Departure Times from Pattaya: 06.00, 08.00, 10.00, 14.00, 16.00 and 19.00. These services depart from the Pannipa Pattaya bus station on the Central Pattaya Road. The final destination is Morchit, the Northern Bus Terminal. Minivan seat 12 people in the back and can feel slightly cramped into comparison to travel by bus. Pattaya Bus Terminal is located on the North Pattaya Road about 3 km from Central Festival Mall in the centre of Pattaya. Your best option is to take a taxi there, although the cost of the taxi is likely to be more than the price of a single ticket on the bus to Bangkok. 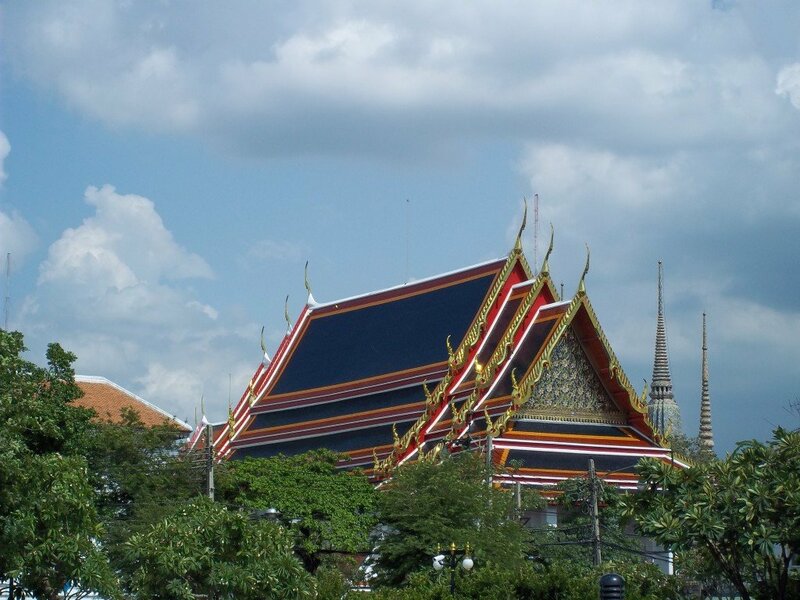 There are two arrival points in Bangkok depending upon which service you use. Bus services terminate at either the Northern Bus Terminal (Morchit) or the Eastern Bus Terminal (Ekkamai). The minivan service terminates at the Northern Bus Terminal. Ekkamai Bus Terminal is the only bus station within walking distance of a convenient public transport station for onward travel in Bangkok. From Morchit, the Northern Bus Terminal, for travel into Central Bangkok the easiest option is to take a taxi to either the nearby Mo Chit BTS station or Chatuchak Park MRT station and then take the metro or sky train for your onward journey. If your destination is Don Mueang Airport then consider taking the A1 shuttle bus which goes direct from the Northern Bus Terminal to the airport: it takes only 40 minutes and costs 30 THB.